Spanning the years 1930�2014, Drops of Cerulean chronicles the lives of Ilona, the daughter of a Greek restaurateur, who marries into a prominent Houston family; her son, Cadmus, who becomes a professor and then moves into a retirement home after his husband passes away; and Delphina, an anxiety-ridden woman with a mysterious recurring dream. Ilona and Cadmus have a falling out when Cadmus is a young man, and before they are able to reconcile, Ilona dies. Cadmus is plagued with guilt and feels responsible for the death of his mother. Two worlds collide when, years later, Delphina comes to understand that she had been Ilona, Cadmus�s mother, in her previous life. Well written and engaging, Drops of Cerulean deals with topics such as socioeconomic class, LGBT rights and acceptance, rebirth, and past-life regression. 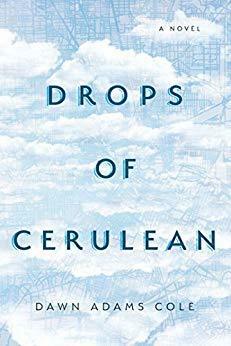 Set in Houston and revolving around the city�s ever- changing skyline, Drops of Cerulean is an amazing debut from a gifted writer.